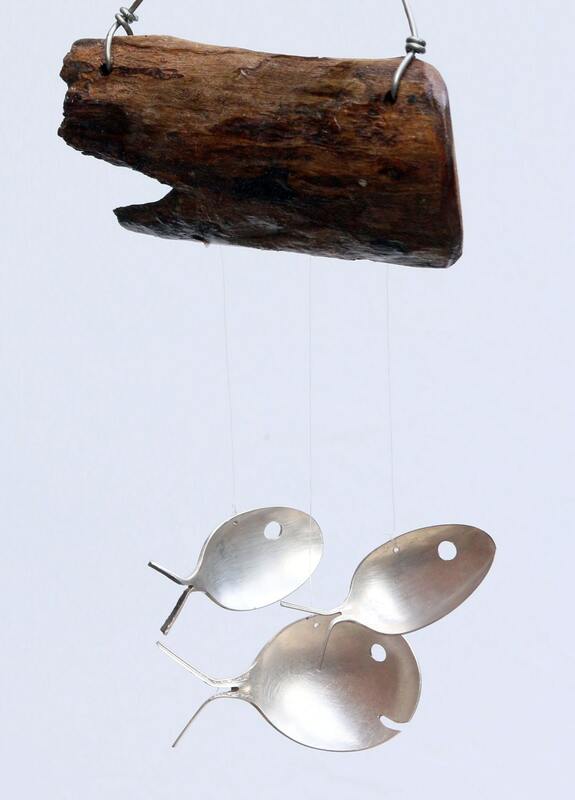 Vintage Spoon Fish & Driftwood Wind Chime. 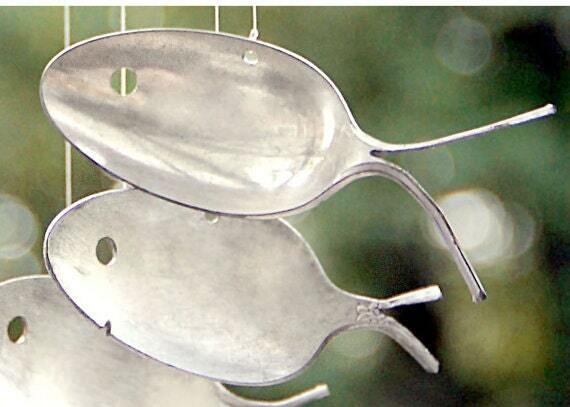 Recycled Silverware Windchimes. 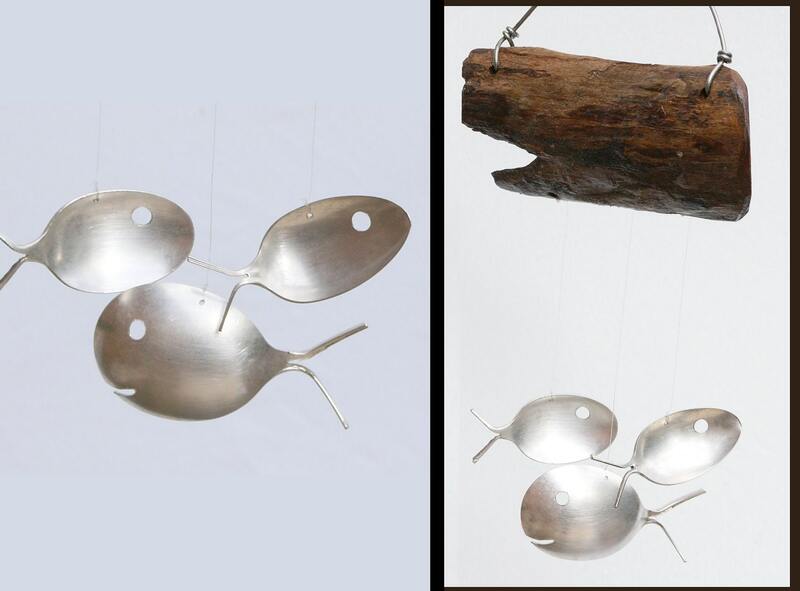 Decoration for Water Gardens & Koi Ponds. Spring Garden March Gifts. Makes a perfect Easter basket filler. 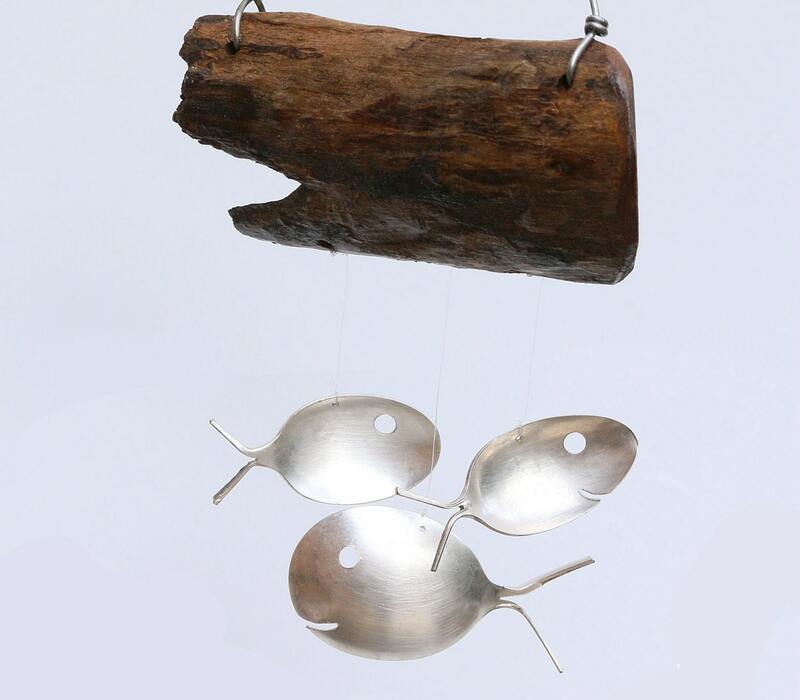 This small driftwood and spoon fish wind chime packs a lot of charm. 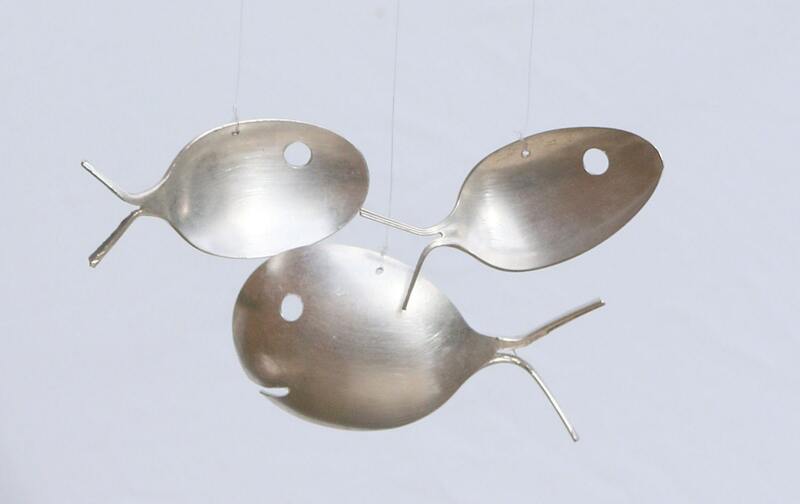 3 silver-plated spoon fish are up-cycled from vintage and antique silverware.These delightful wind chimes are up cycled from antique silver plated utensils dating back as early as 1786.Each set is unique and has a wonderful patina that only time could bring. Sit back, relax and listen to the gentle sounds as they whisper stories of centuries past. Each set is unique,yet just as charming as the ones pictures above. Please see my other listings if you wish to purchase a different set. Makes a unique gift idea. - Perfect for that beach wedding! This is one of those rare items that can please both genders - young & old! Looks darling hanging in any yard, porch or garden. Custom orders welcomed. If you have any questions feel free to ask.